Karekare Beach and Union Bay, with Karekare Stream at right. Waitakere Ranges. 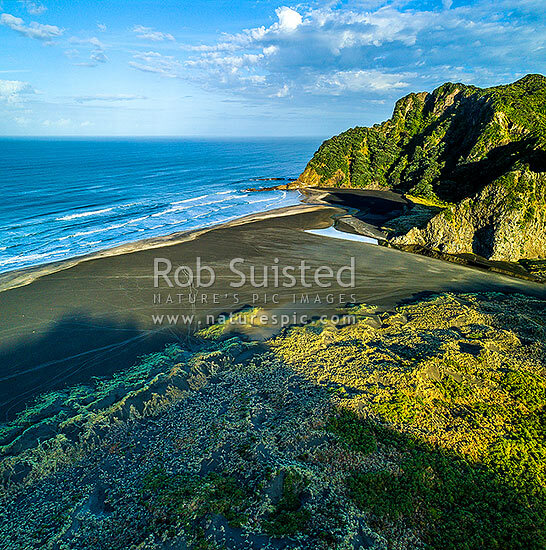 Aerial view, square format, Karekare Beach, Waitakere City District, Auckland Region, New Zealand (NZ), stock photo.